I watched the film when it was released, read the book because I wanted more, reread the book years later, and then rewatched the film. The story is great each time and I wouldn’t hesitate to return to it again and again over the coming years. The novel is a great read, I highly recommend it, and the movie does it justice in every way. I think, because the book relied so heavily on words, the movie was able to turn that into mood and not have to cram a ton of action into 120 minutes. Joe Wright took the plot, gave us each feeling individually, and did the original content justice. He’s now a semi-household name in the biz, and so are many members of his cast, but who knows what would have happened had they got it all wrong here. Spoiler; they didn’t, each one held their own, and the team adapted a wonderful book into a spectacular film, one that I thoroughly enjoy. 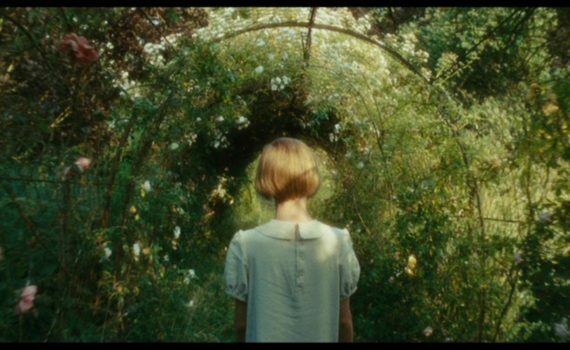 Atonement was nominated for seven Oscars, winning Best Original Score, and they were all deserved. It’s an epic romance set somehow on a grand scale and also on a very small one, with tiny moments that defined larger ones, each weaving in and out with a precision that takes real talent. Wright is an excellent director, and the best decision he made was to trust the story, to keep to the book, to not fix what wasn’t broken. And then there’s his cast: McAvoy with a solid performance, Knightley who’s so emotional, Ronan in an early role. You’ll also notice Juno Temple and Benedict Cumberbatch as small but important characters, so there were stars scattered all over this film. The music is incredible, composer Dario Marianelli doing an incredible job with the score, really setting the tone for the action and for the deep sadness behind the true history of the moment. This film is a period piece, a romance, a war tale, and a fictional apology letter, something so complicated that it takes your breath away, while also being so magical that you can’t help but fall in love.